"This is the Y2K of coding. I think people did a pretty good job of preparing," chief medical informatics officer of the American Medical Group Association John Cuddeback said. It's been a year since the big lift of converting the entire claim stream of the healthcare industry to the larger and more granular ICD-10 family of diagnostic and procedural codes. The Oct. 1, 2015 launch went smoothly compared with the warnings of technological meltdown and cash-flow Armageddon that provoked three delays totaling four years. Claims flows, measured by claims denial rates, returned to normal after a few months, according to the CMS and confirmed by industry experts. But this month, physicians face a new ICD-10 challenge. Last year, the CMS granted physicians a one-year grace period, promising not to deny Medicare Part B claims for lack of specificity of ICD-10 coding. Many commercial payers similarly gave physicians “flexibility,” but that grace period ended Oct. 1. Experts say it's too early to tell whether the switch to more stringent coding requirements will snag docs' claims. “We're keeping our ears open to see if that has had any impact on claims,” said Robert Tennant, director of health information policy for the Medical Group Management Association, a trade association for managers of physician office-based practices. Some experts say it may still take years before enough ICD-10-coded claims data has accumulated to deliver the promised benefits in costs and quality. But the promise of ICD-10 involved more than a revenue-cycle upgrade. The new codes were touted as essential paving stones on the road to value-based purchasing, leading to improvements in healthcare data analytics, population health management, care quality and lower costs. Those benefits have yet to materialize. “I don't expect to see anything along those lines until another year or two,” said Rhonda Buckholtz, a 25-year health IT veteran and vice president of strategic development at the American Association of Professional Coders, which represents the workers who ensure healthcare claims are affixed with the appropriate ICD-10 codes. USMD Health System, Irving, Texas, has used ICD-9 coded data to identify high-risk patients and is moving now to use predictive analytics powered by both ICD-9 and ICD-10 codes to identify patients on the borderline between wellness and sickness so caregivers can intervene before more expensive ailments develop. 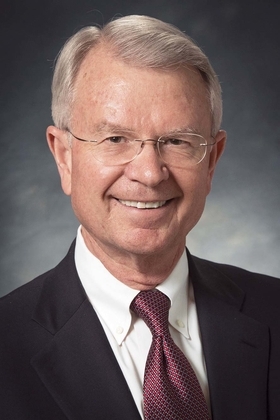 But Dr. Charles Van Duyne, the multispecialty group's CMIO, said he's still “cautiously skeptical” that ICD-10 will ever pay off in clinical quality improvement commensurate with the money and effort put into the conversion. “Yes, ICD-10 gives you more granularity, providing you're doing the coding correctly. But having more information isn't necessarily better. USMD Health System participates in multiple value-based payment models, including three years at full risk under Medicare Advantage. Such arrangements require significant investments in technology and training, but often the data required are not in ICD-10 diagnosis and procedural codes. For example, blood glucose readings for diabetic patients are far more important over time than the initial diagnosis code for diabetes. Some experts say that a couple more years of building up databases of medical records coded in ICD-10 will be needed before a fair assessment of the effects of the codes can be made.